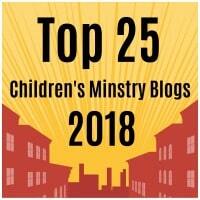 This cross craft can be made by your kids once you have gone over the Easter story or you can tell the story as they add each individual image to the cross. Color all of the images. Cut out the cross and all of the images. Glue the image to the corresponding letter. This entry was posted in Bible Crafts, Death And Resurrection, Easter, Holiday Crafts, Jesus, NT Crafts and tagged angel, cross, Easter, gospel, Jesus, Lords supper, palm, tomb. A cute and straightforward Easter decoration craft. Color a paper plate green using paint, crayons or markers. Remove the inside circle of the paper plate leaving a green ring. Color and cut out all of the pieces from the template. Glue the fern and palm leaves onto the paper plate ring. Glue on the Happy Easter banner. Finally glue on the clothes rags and Easter lilies. This entry was posted in Bible Crafts, Death And Resurrection, Easter, Holiday Crafts, Jesus and tagged clothes, Easter, Easter wreath, Happy Easter, Jerusalem, Jesus enters Jerusalem, lily, palm, palm sunday, wreath. 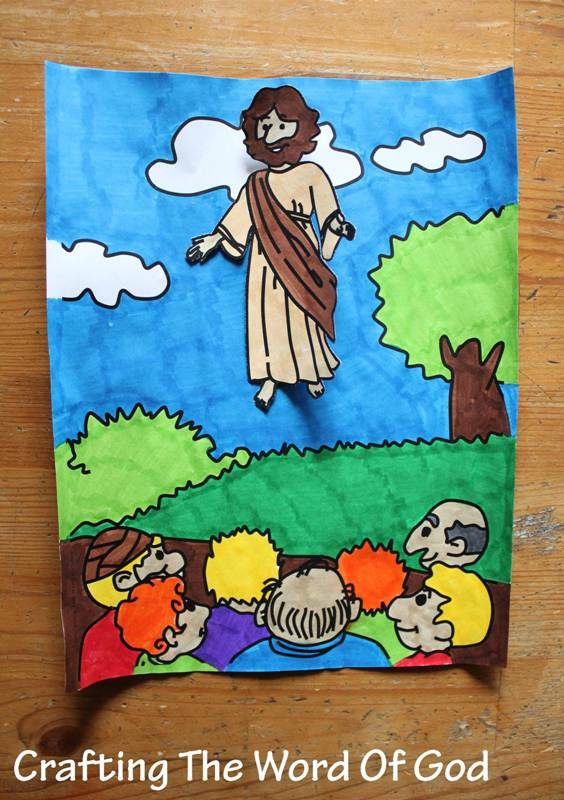 This quick craft will help illustrate the story of Jesus’ ascension. Color the main image and the Jesus figure. Cut out the Jesus figure and the attachment parts. Assemble the Jesus figure and handle: Glue the singular rectangular piece to the back of the Jesus figure. Then take the longer attachment piece and bend the solid lines creating creases. Glue the two larger rectangles together. Finally glue the smaller rectangles to the rectangle on the back of the Jesus figure. Cut on the solid line on the main image. Stick the Jesus figure piece through the slit on the main image. The Jesus figure can now go up and down. This entry was posted in Easter, Holiday Crafts, Jesus, NT Crafts and tagged ascension, Easter, heaven, Jesus, resurrected.